during qualifying for the Monster Energy NASCAR Cup Series Food City 500 at Bristol Motor Speedway on April 5, 2019 in Bristol, Tennessee. Chip Ganassi Racing has made changes to the pit crews on its No. 1 and No. 42 Monster Energy NASCAR Cup Series teams of drivers Kurt Busch and Kyle Larson, ahead of Saturday night’s Toyota Owners 400 at Richmond (Va.) Raceway. Busch’s No. 1 team will have a new rear-tire changer in Cory Baldwin and a new tire carrier in Justin Kirby. Baldwin and Kirby were CGR pit-crew backups. Baldwin replaces Daniel Kincaid, and Kirby replaces Wilbert Johnson Jr. Meanwhile, the new front-tire changer on Larson’s No. 42 team is Bryan Jacobsen. He replaces Steve Price. 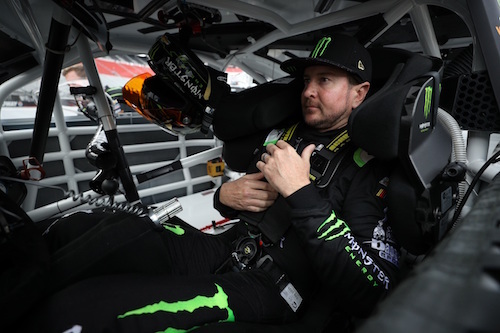 Busch is eighth in championship driver points, heading into the Richmond race, the ninth race of the 2019 Cup Series season. He finished a season-high second to his brother and Joe Gibbs Racing driver Kyle Busch in the Food City 500 at Bristol (Tenn.) Motor Speedway on April 7. He has six top-10 finishes in the eight races, so far, this year. Larson is 14th in points. Larson has two top-10 finishes in the first eight races this year, with a best finish of sixth at ISM Raceway near Phoenix.